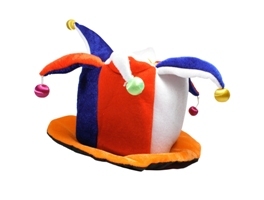 ISEB offers online ITIL exams - April Fools? IT professionals taking the BCS - ISEB ITIL V3 Foundation Exams can now take them online. The new facility enables students to sit their exam and receive their results on the same day. But look in vain for any link in the announcement to take you to it. And the IT Skeptic wandered through the website clicking ever deeper and found no such thing. Foundation Certificate examinations are currently available for both ITIL Version 2 and Version 3. In order that you can be registered for the correct Version of the examination, please contact the Examinations Officer on +44 1793 417419, who will supply you with the relevant registration form. This strikes me as neither "online" nor "same day". In fact, requiring me to ring the UK to get a paper form can only be described as "quaint". Since the announcement is dated April 1st, I assume the BCS is pulling our collective leg and the online ITIL foundation exam remains an elusive myth. Next story: Prometric lists ITIL V3 Foundation exams again ... for ISEB this time! Submitted by doc (not verified) on Wed, 2008-04-02 11:02. On Pearson/VUE: ITIL V3 Foundation, 175 EUR+VAT (this one is for Europe). I didn't actually apply, but since it is listed, I presume it's on. Submitted by skeptic on Wed, 2008-04-02 22:33. I'm still not clear if the exam can be sat online, or whether it is just ordered online and one must still go to a physical testing facility? P.S. I'm not saying online sitting is a good thing - I think the potential for cheating is obvious - but I'm curious as to whether it exists. Submitted by doc (not verified) on Thu, 2008-04-03 09:24. Not sure about ISEB, but EXIN offers V3 Foundations exam thru VUE since today, at least thats what they say on their web. Exams are ordered either online, by phone or thru one of their testing centers, available worldwide in larger cities. The exams are not sat on the net, in your slippers, but in a testing centre under controlled conditions. Surveiled candidates answer questions on a PC with limited time. I couldn't find info on Foundations exam on Prometric, but probably will be there soon. Question: Exam costs 180-250 US$ depending on a facility. ITIL Foundations 3 days preparation training can be found in the range of 500-1800 US$. Not cheap. This enables one to earn a badge for only $180. Until now, people were forced to sit the training and exam. Now more of them will prepare on their own and just sit the exam. This is a large sum of money out of the certification bodies pockets. Is it going to speed up development of higher level courses? Intermediate, Managing? Submitted by skeptic on Thu, 2008-04-03 11:01. Ah Doc, a skeptic after me own heart. I think it is money out of the ATOs' pockets but not the EIs or APMG: they only get paid for certifications not training (except where they run it themselves). Besides the option for certification only was there in V2 but it didn't get that much attention or use. Many people are being sent by an employer so they go for the training, it's not their money. I would imagine many of the ATOs are struggling to accumulate enough experience of ITIL V3 to do a credible job of training anything above Foundation: they may not be rushing in just yet. Submitted by doc (not verified) on Fri, 2008-04-04 08:30. I presume most of the people are sent to training by their employer. At the end of the day, it is money out of their pockets, ke no? I believe in training, and I like to see each do the job they do best and get payed for it. For now, at least in my country, prices of Foundation trainings are very steep IMHO. Submitted by Bordewijk on Mon, 2008-04-07 07:43. Then...what is training? Don't get me wrong I believe in training too, in fact I think that any training that is not followed up regularly is worth next to nothing. Training in my opinion can be a very powerful intervention if the topic is discussed again and again (regular reflection sessions) for at least a year AND if it relates to something that the individual or his/her organisation is actually trying to do something with. Training is not the same as taking a course in my opinion. Training means you will be able to apply the topics to a particular situation. This involves a lot of reflection. In fact, to be more precise it involves going through many iterations of Kolb's experiential learning cycle (Wikipedia summarizes these as follows: concrete experience, observation of and reflection on that experience, formation of abstract concepts based upon the reflection, testing the new concepts, repeat...). Of course if certification is your only goal, you can stick with self study. Submitted by JamesFinister on Mon, 2008-04-07 08:31. A real advantage of attending a physical course is the benefit to tap inot the benefit of others, not only yhe traibner but also the other delegates. The other great advantage is that a good trainer can quickly pick up how deep a delegates understanding is. I'm sure I'm not the only trainer who has had a foundation qualified delegate turn up on a manager's course with seemingly no real understanding of the subject. Submitted by skeptic on Mon, 2008-04-07 10:39.
Who takes ITIL training for the purpose of learning ITIL ? Training has become almost irrelevant to the certification industry. Most people are not confident enough to self study so they take training as a path to certification. Certification is the objective, the meal ticket. Who takes ITIL training for the purpose of learning ITIL any more? As Maarten points out, if they were actually seeking knowledge they wouldn't go on three day pressure-cooker courses because you don't learn much that way. Submitted by Bordewijk on Mon, 2008-04-07 12:19. ITIL recognizes the need to manage capabilities. Unfortunately the new certification scheme doesn't take this into account. It's all centered around information and (maybe) some knowledge. The 'old' ITIL Service Manager's certification (EXIN) included an incourse assessment. This lead to training which included people management/consultancy/presentation aspects that are elementary to the success of any ITIL implementation. This is all over now... The whole discussion above is good reflection of this fact. Submitted by JamesFinister on Mon, 2008-04-07 13:48. There is no discussion now, is there? Answers are either by the book, or wrong. Long gone are the days when a student could openly question what the right answer is, which I always thought was the point of a "discuss" type question. As the Skeptic says the emphasis has changed to getting large numbers certified, not in using education to leverage improvements in real world service managment, and we are all poorer for the change. Submitted by skeptic on Mon, 2008-04-07 19:48. The old V2 Master's cert said "this guy can talk intelligently and write coherently about ITIL. he/she is capable of independent thought on the topic"
The new ITIL Expert says "this guy answered n multichoice questions correctly". Submitted by doc (not verified) on Wed, 2008-04-09 13:35. Hope no one got me wrong, I am all for training and their benefits are usually undisputable. As for V3 foundation 2.5 days training, I wouldn't call it neither a training nor course, and I don't know a polite word for it. Considering the syllabus, IMHO it's impossible to teach 10-20 scared people to learn such a vast scope of material. Either the syllabus should suffer a significant change, or the training should be broadened to at least 5 days. Actual pass rate of 90% is not relevant, candidates do not demonstrate knowledge, only a useless skill of passing multiple choice exam. Submitted by Visitor (not verified) on Sat, 2008-09-13 13:03. I am a certified ITIL-Manager. I wwent going through the training, more with an aim to understand ITIL. Whenever I posed a tough question to the trainer, always I got an answer from my instructor "If this is the question, you answer it this way. This is all you need to know to get through". When I confronted him saying "I need to understand ITIL". I was bluntly turned down with "Then read the RED and BLUE books and get to know it. The scope of this training is to get through the certification"
Submitted by vinodka on Mon, 2008-04-07 11:12. I am not sure if I agree fully to that view point. There are many people (at least have seen in this region) who take up ITIL foundation trainings other than mere certification. I agree - the majority is doing it for another certification entry in thier CV. - Many people get completely overwelmed by the amount of information in the ITIL books - so they don't know where to start, where to focus. For them, a quick, summarized learning gives the much-required 'big picture' -where in they can fill in the flesh later through the books. Class room trainings provide them with the focused ambience and interaction, which enables learning. Submitted by Liz Gallacher on Wed, 2008-04-02 22:51. My understanding is that it is only available to be sat on-line at a testing facility (Prometric or Pearson Vue). The paper form mentioned relates to those people who wish to sit an invigilated public exam, as opposed to one at the end of a course, or at a test centre.